Today’s consumers love vehicles that do not weigh heavily against their wallets. With responsibilities such as families, housing, and grocery needs, a consumer appreciates an affordable vehicle tenfold. The Hyundai Accent has a starting price of a little over $14,000. With a nice down payment, a consumer could walk away with very low monthly payments. 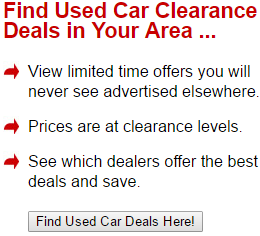 Additionally, consumers can lease a brand new Hyundai Accent for less than $200 per month. Fuel efficiency is a crucial feature for any new vehicle. Consumers need cars that can drive them to the ends of the earth and still have gas in the tank in the end. The Hyundai Accent is above average as far as fuel efficiency. A driver can get 38 highway miles per gallon. The Accent has better mileage than some of its competitors do. Examples of such short-falling competitors are the Honda Fit and the Toyota Yaris. Cars with good gas mileage don’t necessarily have to be subtle. The Hyundai Accent is certainly not subtle with its 138-horsepower engine. In fact, the Hyundai Accent is a speed demon compared to rival models such as the Ford Fiesta and the Honda Fit. The horsepower is just enough to give the vehicle a good amount of kick, but not so powerful that it becomes dangerous. The Accent is a wonderful little mover in its own right. Hyundai gave this car a perfect name when it named it the Accent. Consumers can purchase a model that Accents their personality. The 2014 model has a wide variety of colors from which a buyer can choose. 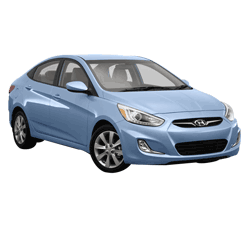 Some fun colors that are available on the 2014 Hyundai Accent are Clearwater Blue Metallic, Ironman Silver Metallic, Triathlon Gray Metallic, Boston Red Pearl, and Electrolyte Green Pearl. The names of the colors are almost as exciting as their electrifying looks. The interior choices for the Accent are Beige, Black and Gray. Hyundai makes safety a priority for all of its drivers. Some safety features that are available on the 2014 Hyundai Accent are the anti-lock brakes, stability control, pretensioners and overhead airbags. The Accent also has anti-whiplash head restraints. The restraints act as a cradle to the passenger or driver’s head to prevent it from being thrown into an injury situation. Additionally, the unit comes with side and front impact airbags to add to its security and injury prevention. The 2014 Hyundai Accent is safe for drivers and passengers. Most of its NHTSA crash test scores were in the four to five-star bracket. Its dynamic rating was “good,” and its driver head protection was “good.” TCC automotive experts gave it an overall score of 7.2 out of 10 points. They gave it 7 points out of 10 for safety. The overall safety overview is above average and acceptable. Cargo space is becoming an increasingly important feature in any vehicle. Drivers and their families need as much room as possible for long excursions, family vacations, business meetings, and more. Additionally, they need the room to stretch their legs. The Hyundai Accent has 212 cubic feet of cargo space, which is much more than that of its main competitors. In fact, the Toyota Yaris only offers 15 cubic feet of space. A sunroof is a hot option that the Hyundai Accent has. The sunroof is great for those times when a driver needs a breath of fresh air and some inspiration from the sun. The Accent’s sunroof is power operated and ready to open on a whim. Consumers who choose the Hyundai Accent are truly choosing a winner. The Accent won an award in 2013 for best subcompact car. Additionally, it won an award from MotorWeek for as the Driver’s Choice for 2013. The Accent comes with a few goodies that some drivers will love. The unit comes with a six-speaker audio system along with SiriusXM Satellite Radio and iPod auxiliary input jacks. Drivers and passengers can enhance their experience with high-quality music. The Hyundai Accent does not come with a navigation system or option. A majority of modern drivers rely on their navigation systems to get them to their destinations. This may be a huge issue for one of those drivers. The Hyundai Accent may not have the best rear visibility, as some consumers have complained of it being subpar. However, an interested person could test this feature during the initial inspection and draw his or her conclusion from there. Although the crash test scores for the Accent are above average, other vehicles in its class have better ratings. The super-safe driver who wants to have the very best safety features might select a vehicle with higher test results. The Hyundai Accent provides a wealth of positive features for a low price of slightly over $14,000. This perfect low-cost vehicle can easily fill a college kid’s driveway. However, the Accent can fit into any household and any situation. It is accented just enough to give it a visual appeal, but it is not too gaudy for conservative vehicle owners. Consumers are enjoying the fuel efficiency and the cargo space the most. A new driver may find even more reasons to love his or her Accent. Hyundai dealerships are waiting to place people in these cool vehicles today.